Apply ratios and proportions to find the weight of a person on the moon (or on another planet). 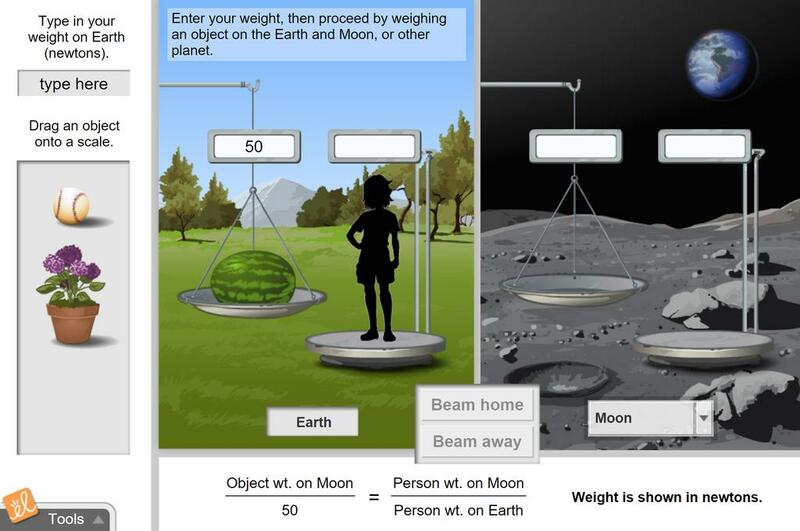 Weigh an object on Earth and on the moon and weigh the person on Earth. Then set up and solve the proportion of the Earth weights to the moon weights. This worksheets allows students to collect the weights of a human on different celestial bodies in our so... (more)lar system. Then they state a claim answering the question "How does the gravitational pull of various celestial bodies differ from one another?" and support it with evidence and reasoning.